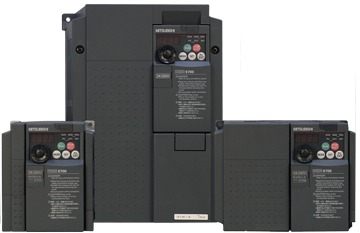 Variable Frequency Drives, or VFDs, are used to control AC motors in many applications such as fans, conveyors, pumps, and elevators. The VFD can be used to control the speed of the motor, the amount of torque a motor produces, and to reduce electrical costs on motors that are not fully loaded. VFDs are also known as variable speed drives, converters/inverters, AC drives, and micro drives. They are all the same thing. The drive is used to change the frequency and voltage that is being fed to the AC motor. By altering the frequency and voltage, the VFD allows the AC motor to be controlled from a speed of 0 RPM all the way up to multiple times the base speed of the motor.In Full Vector Control Torque Mode, a VFD can control the amount of torque an AC motor produces, even when standing still at 0 RPM. This can be very useful in applications where tension control is needed, such as in web handling. Winders, Unwinders, and Tension rolls take advantage of Torque Control all of the time. Torque Control can also be used to cascade multiple VFDs together to share a common load. Long conveyor lines can take advantage of multiple motors automatically sharing the load.Adding a VFD to a pump or fan motor that is not running at full load is a great way to reduce energy consumption. ROI is typically pretty short for these types of applications. Adding a VFD to a motor is a great way to add flexibility to existing equipment by allowing easy speed changes, smoother starts and stops, and even energy savings. HTE Automation sells VFD Inverters in Kansas, Missouri, and Illinois.